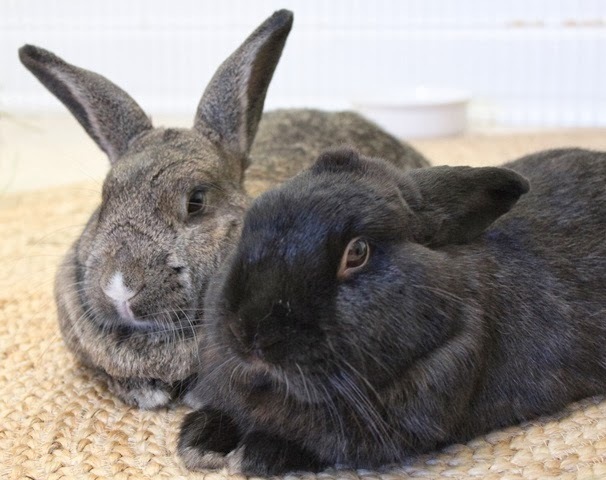 Hoppy Friday from Harrington and Hannah! Harrington, did you hear that? I think the Fed Ex truck just came! Mama got us some hay and pellets to try from Small Pet Select. Come check it out Hannah. It smells really good and it's so fresh, not like that bagged junk in the big box pet stores. I wonder if Mama will let us chew up the box too? Wait a minute! Where's the pellets? I thought we got pellets too? We love the pellets. Mama says we practically rip the bowl out of her hands. 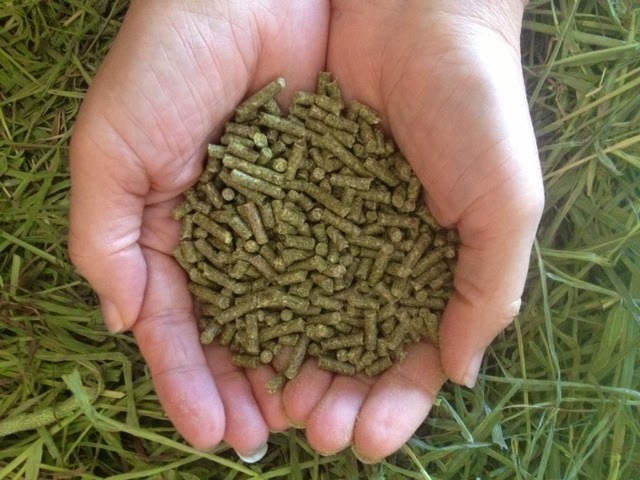 Of course, bunnies should mostly eat hay and a small mixture of leafy greens, but we share 1/2 cup of pellets every day. 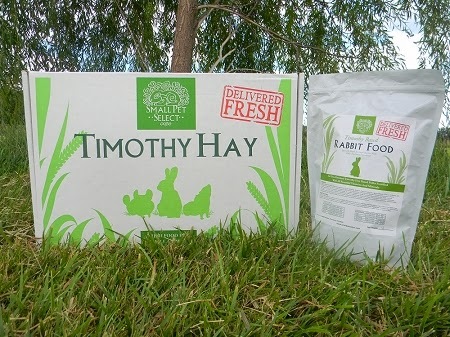 These are super good for us because they are made from Timothy Hay. Mama says they are the best because they don't have all that naughty junk food in them like nuts, corn, and sugary stuff. That's not good for bunnies at all. Did ya hear what else Small Pet Select is doing? They have a promotion going on right now in conjunction with The House Rabbit Society. 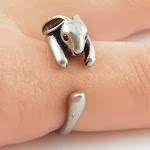 You can get this ring for FREE and help out bunnies at the same time! Hop over HERE to find out more. 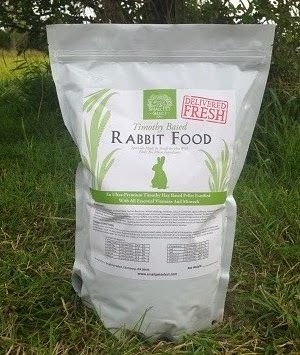 Thank you Small Pet Select for making yummy, nutritious, and quality food for us and also for helping the House Rabbit Society. If you want to learn more about the proper care of rabbits, you can hop over HERE. 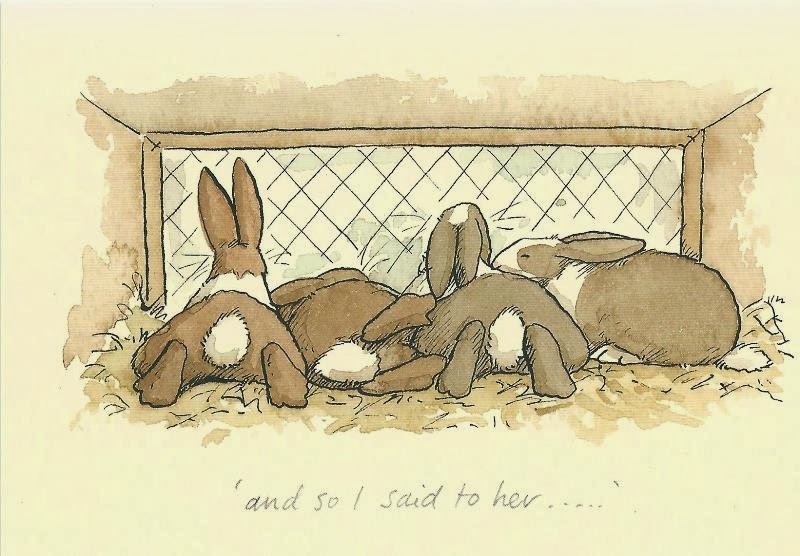 Have a fun weekend and snuggle somebunny you love. Mama will see you back here on Monday. Fellowship of the Flowers - Week 5, a Bee and the First Project! Hi ya! Well here we go into week 5 of the Fellowship. Woo hoo! I'm having such a blast and I hope you are too! For more information on joining and photos of all the previous flowers, please click on the tab at the top of my blog. This week we have the Cone Flower! This is the Second of 6 flowers which will be used in a project the end of February. This week I used lots of French knots (especially for Selina) and some button accents. I really love this flower. Remember, there are 5 flowers which will be used 10 times each this year. They will all look totally different and be used in different projects. This week I would also like to introduce the Mr. Bee! He is the bonus pattern when you join the Fellowship. He will be making his appearance in many projects throughout the year. If you purchased a kit from me, there is plenty of black wool, black polka dot fabric and plenty of hay bale wool for you to make all the bees needed. Of course, you can make them different colors if you like. I embellished my bee with these. Ok, now onto our first mystery project! 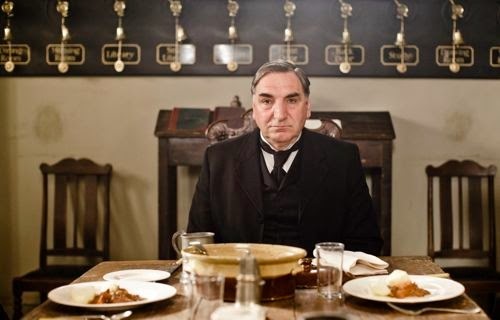 As you know from my hint in my Monday post, I loooooove the TV show Downton Abbey! Here is Mr. Carson, the head Butler. Notice the wall behind him? Well those are bells assigned to each room of the grand home. bell pulls! 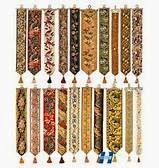 Back in the day these were incredible pieces of needlepoint with a tassel at the end. 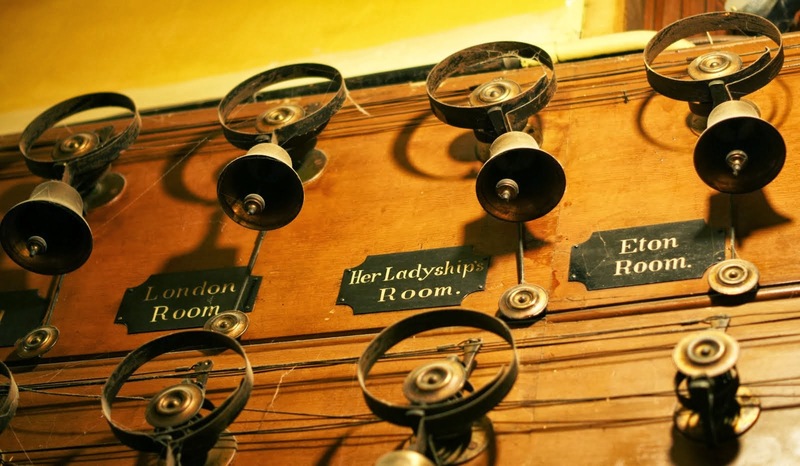 On an episode the other week, Lady Mary got up, pulled the bell pull and the servant came to the room. She asked him to bring some tea. Well let us fast forward to today. Here is my Folk Art Fusion interpretation of a bell pull. I think Mr. Bee looks quite charming at the bottom of it. I used buttons and beads as embellishments and even added tiny jingle bells to the center of the buttons. to couch around the edges of the hexagons. Next was to decide where to hang it. I liked it on the peg shelf in my bedroom. It did look rather nice in my foyer. But in the end, I decided it would hang on my "Friends Door." Seeing as I live in a cottage and the only servant in this house is me to two little bunnies, I decided I wanted to hang it here to let me know when my friends arrived. 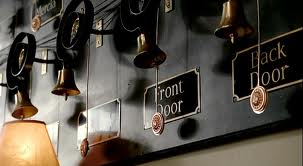 I love the sound of all the bells when the door is opened. So there you have it! I hope you enjoy making this project for yourself or as a "Just Because" gift for someone special. Remember, friends who have joined the Fellowship will be emailed the instructions and supply list directly. The bunnies and I would love to have others join us. Please spread the word! Happy stitching and stay warm! One Cool Cat - Quilt that is and more! I'm a happy and proud member of my local quilt guild, The Croatan Quilters. It's a wonderful group of some delightful friends. Being around creative people is always good energy. Last Tuesday night was our monthly meeting and I asked our President, Vicki, if she would bring her cat quilt so I could share it with you. Check this out! This is a paper pieced quilt. That's Vicki. All the tails of the cats intertwine. Cool huh? What is really amazing is the size and number of pieces in the tiny cats. My finger gives it scale. Oh my gosh! and even the back of the quilt is so totally cool! Doesn't it make you smile? 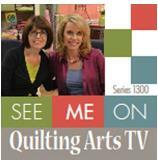 Vicki is a long arm quilter, so she quilts many projects for guild members. Not to mention, she is a great president. Next is one of my long time girlfriends, Peggy. She shared a quilt she is making for her grandi-daughter. She incorporated fabrics into each half square triangle (I'm having a migraine over those points) which represents her granddaughter. It is Fun indeed. This will be a graduation present. This next quilt was shared by Renee. It's a double wedding ring made by her aunt and finished by her. This quilt especially touched my heart because I'm an Auntie. Here is the remarkable story from Renee." To the best of Aunt Norma’s knowledge, she thinks she started the quilt top in 1933 and that is the date that we put on the back of the quilt. She did the top before she got married. She is one of my father’s older sisters (but not the oldest) There was a 20 year difference between Aunt Norma and my dad. My grandparents on that side of the family both passed in 1960 when I was two years old and so I don’t remember them. Aunt Norma took over the “grandmother” role for my siblings and I.
Aunt Norma worked in a sewing factory for over thirty years and would bring home scrap fabric and other remnants. 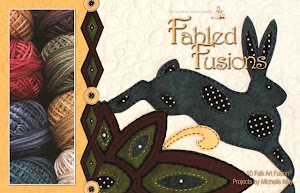 When I was a teenager, I wanted to sew and so Aunt Norma took me to town and purchased patterns for me and then let me pick fabric out of her stash. She got me sewing and was always enthusiastic over whatever I made. After retiring, she still continued to sew and would do craft shows up into her 90’s. As I said last night, my mom was helping her clean out closets in 2000 or 2001 and they came across the quilt top. She did not think that she could finish the quilt and told my Mom to give it to someone who would. It came to me, I added the backing and batting and finished it in 2003. I gave it back to her and it became “our” quilt. She had it for about eight years and decided to give it back to me so that nothing would happen to it when she was gone. Aunt Norma is 99 years old today and still doing well. I am an Aunt to 10 nieces/nephews and a Great Aunt to 7 nieces/nephews. I think that Aunt are special people and I hope my nieces/nephews will think so too. I think it is a neat story and it is special because it is mine. Someone is the back of the room last night commented that it was a real 1930’s quilt, not one made with 1930 reproduction fabrics which I that was a neat comment. It was a honor to finish it for Aunt Norma." Thanks so much for allowing me to share this story Renee. I think it is so wonderful! Happiest of birthdays to your aunt! Next we have a colorful quilt from Marianne. She made this for her grandibaby. The colors make me happy! Mary Kay, seen here peeping out from behind her quilt, also made a quilt for her grandibaby. So sweet! 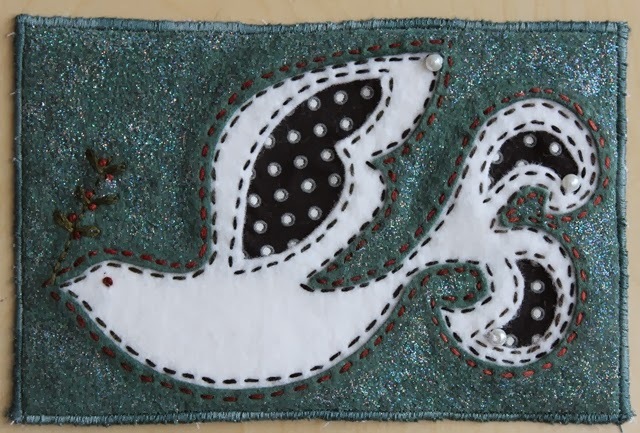 Barbara shared a super cool table runner. I know all you modern quilters out there are going crazy over this piece! She also shared this piece which was a block swap by guild members. There was one block left over so she incorporated on the back. Wonderful! This is Holly's mom, Marlis (I don't know how to spell her name, but will find out). Marlis visits every winter and everyone looks forward to her arrival. She is one talented lady! She shared with us a quilt challenge from her guild up north. They took photos from a book called, Earth from Above, and used it as inspiration for an art quilt. Major cool! She also gave us a quick tutorial on her awesome shadow chenille vest. It was a fun meeting indeed. Well, this Wednesday is the big day. Our first project in the Fellowship of the Flowers will be revealed! I can't wait to show you! Here's a little hint...the project was inspired by the TV show, Downton Abbey. Hi ya! It's Friday again - hop, hop, hop. That's how my days, weeks and this month is going by. Fast as a bunny! So as you know if you've been around my blog for a while, Friday is a day about happiness, being grateful and focusing on good things and good people. Well, the card above and this adorable little bunny ornament came to me from my dear friend in New Zealand, Carolyn Green. Now this little bunny was mailed out in early December and was suppose to be to me for Christmas. Well, I think he had a little adventure because he only showed up the other week. I love him Carolyn! Thank you! It got me thinking though about the whole Christmas mailing rush and the rush of it all in general. So many friends I mailed Postal Fusions cards to never received them. They always get them when I send them at other times during the year. Do I really need to wait for birthdays or Christmas to send someone a gift or do something special for them? This is my nephew, Mickey. His mom, my fun friend Jade, made calendars for all of us in his fan club. I love it and it hangs in Bunnyville. In addition, Jade made donations to all these rabbit rescues. Her love and kindness to do this made me smile so big! Then there are these snack bars. I love them because I can read all the ingredients, they taste yummy and they are good for me. So much food nowadays is nothing but a can or package of chemicals. Nasty! I normally buy them individually, but just found them in a box. This is what is on the back of the box. 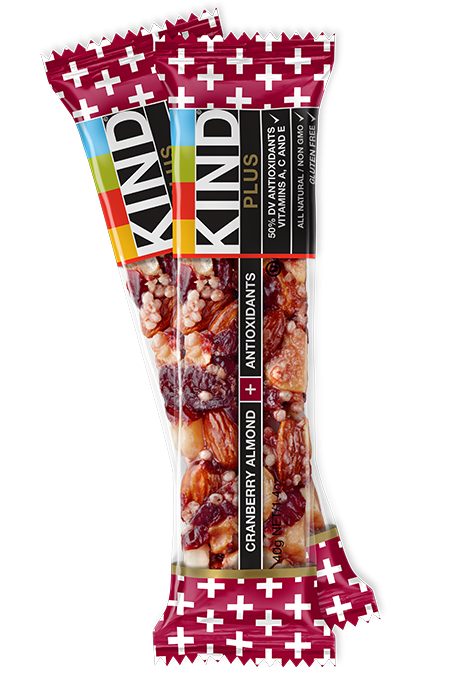 Not only are the snack bars kind, but the company believes in spreading kindness. How cool is that! I like that term "Kindaholic." So I decided that starting this year, right now, I'm not going to wait for Christmas or special occasions. I'm going to spend time with friends having a coffee, send cards for no reason and send gifts of "Just Because." Have a fun weekend and we'll see you back here on Monday. Love is in the Mail!